Danielle is a 26-year-old American living in Sydney, Australia. She is a teacher and is tutoring grades 6-12 and refugee children in Sydney. 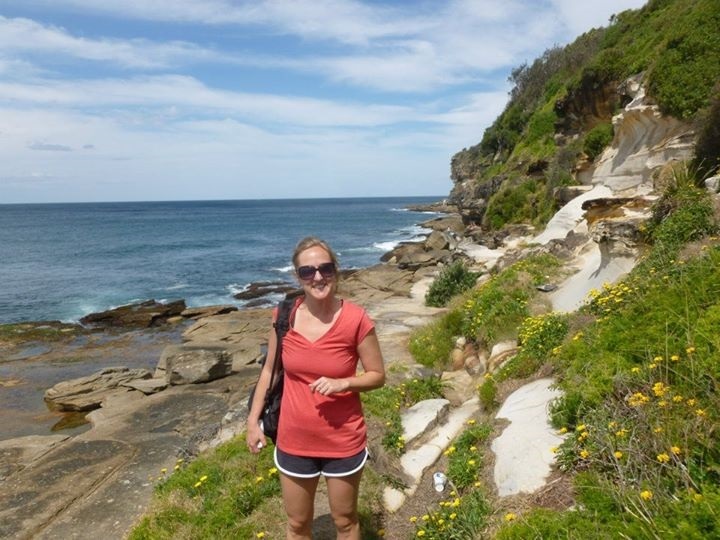 She taught for one year in Seoul, South Korea and she was previously an au pair in Zurich, Switzerland. She has traveled to 22 countries since taking her first big trip to Ireland after graduating from university four years ago. While people often question this type of traveling, she has traveled frequently as a solo female around Asia and Europe and has absolutely loved it. 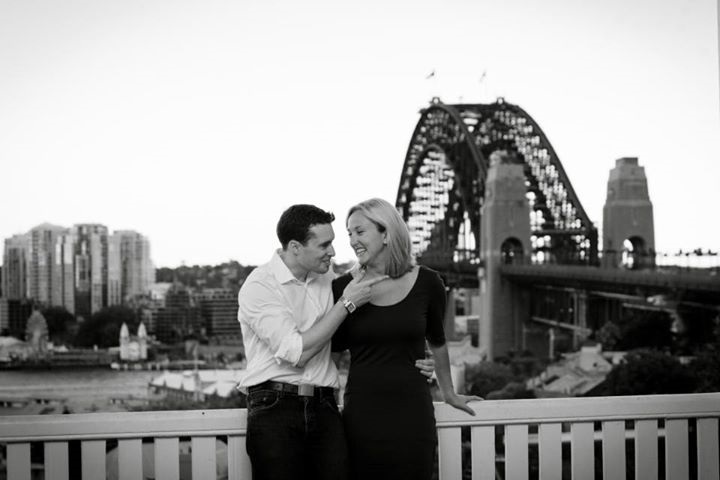 Danielle is proof that you can meet a special someone while abroad: she met an Aussie bloke while visiting Rome three years ago and now finds herself in a cross cultural relationship, planning two weddings on opposites sides of the world. What made you decide to move to Australia? My fiance is Australian and while it is impossible for him to get a job in America before we get married due to the green card system, the Australian government seems to be a lot more lax – I applied for a Work and Holiday Visa which lets young people from the United States come in and work and travel for a year. Also, compared to a lot of other Western countries at the moment, Australia has so many jobs! What was involved in the process of moving there? As I mentioned, I applied for a Work and Holiday Visa* – which allows me to work for a year (six months with each employer) . I actually first came into the country with just a Tourist visa (you cannot work on this) to look around Sydney and see if I could find a job. When I realized I couldn’t, I had to leave the country to apply for the Work and Holiday Visa from home – I got it within two days! Once I received my visa, I went back to Australia. *Author’s note: Australian Work and Holiday Visas (sub-class 462) for citizens of the United States have slightly different criteria, privileges and costs than Working Holiday Visas (sub-class 417). For information on Australian Working Holidays Visas for citizens of Belgium, Canada, Cyprus, Denmark, Estonia, Finland, France, Germany, Hong Kong, Republic of Ireland, Italy, Japan, Republic of Korea, Malta, the Netherlands, Norway, Sweden, Taiwan and the United Kingdom click here. What do you do for work? Are there any restrictions on what you can do in terms of work, being a non-Australian? I am a certified teacher but cannot work in Australia as a school teacher sadly. I need to go back to university to do this, which is very expensive as an international student. So at the moment I am teaching at a tutoring centre for students mostly from non-Australian backgrounds, and also tutoring children whose parents are refugees. To find a permanent, full-time job here, most likely you will have to get sponsored by your employer in order to obtain a Work Visa. For temporary, part-time jobs, there are many administrative positions available through one of the many recruitment agencies here. There is also a large demand for au pairs and other jobs in childcare. And of course there are tons of cafe, bar and waitressing jobs. For these, employers often want you to have your barista license (cafe) or your RSA to serve alcohol as a waitress. What is the cost of living in Sydney and Australia as a whole? I’ll be honest, cost of living is outrageous here. It is one of the most expensive city in the world to live in, supposedly. That is what a lot of travelers do not expect here and they run out of money quickly. Hostels are about $35 a night and in a share apartment you can expect to pay at least $200 a week. You are better off going to grocery stores and making your own food, since you most likely can’t find a meal cheaper than $10. With drinks, you can always find a happy hour in the university areas, but there are a lot of high-end bars in the city. As for transportation, you definitely do not need a car in Sydney. I have lived here a year and still haven’t felt the need to get one. If you want to do weekend trips, we use GoGet Carshare, which are located in every suburb (there are about 10 on my block alone) that you can register with and use hourly (grocery shopping) or for the weekends. Train tickets, if you stay within the CBD (Central Business District, the main city) is very cheap. While everything is expensive, if you do have a job here, the wages are the highest I have ever seen and even with part-time work here you can live comfortably and save money. What are some of the things you like the best about Sydney or Australia in general? The weather is hands-down the best thing. I am from Michigan in the United States. It has four distinct seasons and can get very cold. I felt like this past summer went on forever, because their spring and fall are usually very warm. We had about nine months of good weather. Even ‘winter’ now, only gets down to about 50ºF (10ºC), but that is just Sydney. If you go north, you will often find summer-like weather all year round. I have lived in a few very different countries and I am a very laid back person, so I’m not one to really miss things at home compared to most. But, compared to the other countries I have lived in (Switzerland and South Korea), almost everything I can get in America, I can also get here in Australia. 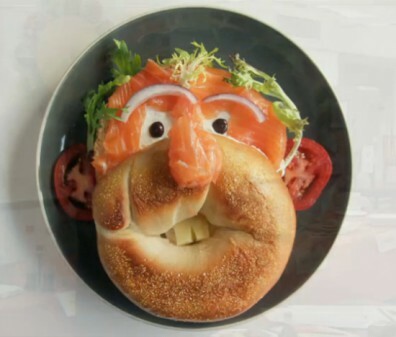 The only thing I miss, that I have missed in all countries are BAGELS! What are some of the most significant cultural differences between Australia and the United States that you have encountered since moving there? Are there any in particular that you have had any difficulty adjusting to? Since I have been dating an Australian for the past three years, nothing is unusual to me anymore. Australian etiquette is very similar to American etiquette. But the biggest difference I’ve noticed has been how there seems to be almost NO customer service, as there is no tipping service here. Everyone gets a straight salary. The more expensive restaurants usually have better service, because you are paying for it. In your opinion, what are the top five things a visitor to Sydney must see and do? That is hard to answer, because there is so much to do and see in Sydney! 1. Climb the Harbour Bridge. While it is expensive, it’s also amazing, and there’s really no other experience like it. 2. Go to a show at the Sydney Opera House. The Opera House is really neat from the outside, but it is absolutely stunning inside. Seeing a show or a speaker there is just mind-blowing. 3. Take the ferry to Manly Beach. It’s a 30 minute ride and it’s a cheap way to see the harbour by boat. Explore Manly, a picturesque suburb of Sydney, then come back at sunset for the best view of Harbour Bridge. 4. Take a free walking tour of the city. You can learn so much about the history of the Sydney, see the main attractions and also receive really good advice on the cheapest places to go around the city. I have done both I’m Free and Peek Tours and would recommend them both. 5. Go to high tea or the races. As I am from America, we do not have either of these and I have heard Australians seem to be more serious about these than the British! As in New York City, while there are specific places you must see, getting lost in the neighbourhoods is the best. Let’s talk food. Where would you recommend a visitor to eat when they visit Sydney? There is so much good food in Sydney. I have read that there are too many restaurants in Sydney for the amount of people there is, so only the good ones last. If you want Asian, Chinatown is cheap and really good, with almost ANY Asian food you can think of. An amazing Malaysian place is Mamak in Chinatown. For fish and chips, anywhere on the beach! I would suggest Watson’s Bay Doyle’s take away. You can get some fish and chips and sit on the beach or sit in a boathouse right on the water. The actual restaurant is about five times more expensive and right on the boardwalk. The best view by far is from the restaurant at the Sydney Museum of Contemporary Art at Circular Quay. It’s SO cheap for the area (most places are about four times more expensive just because of the view), it has good food (Asian-Australian fusion), and most of the restaurant is windows overlooking the Harbour Bridge and the Opera House. But to get the real experience, I would get out of the main city and go into a pub. This is where the true Australian food is. The Duke in Newtown is my favorite. Where are the best places to get a drink? Drinking is a huge part of Australia’s culture, it is everywhere! As there are SO many cool places to drink, I really can’t name one, or I’d have to name all of them. If you like to drink, this is the place to be. Depending on the beer, a pint is $5-$8. But there are happy hours everywhere and specials every day. A website use to stay updated with the coolest, newest bars is Timeout Sydney. What are some things that a traveler to Sydney (or Australia) should be aware of before visiting? Do your research, as in any other country when you travel there. In the main city, everything is expensive because tourists will pay for it. It is an expensive city, but you can definitely stretch your dollar (I’m an expert now!) by researching the cheapest places (Chinatown, etc) to go. Avoid King’s Cross, the main party area in Sydney, after 2 am. People get into fights and die frequently. What is your favourite place to go for a short weekend or day trip out of Sydney? There are so many places to go for short trips out of Sydney. 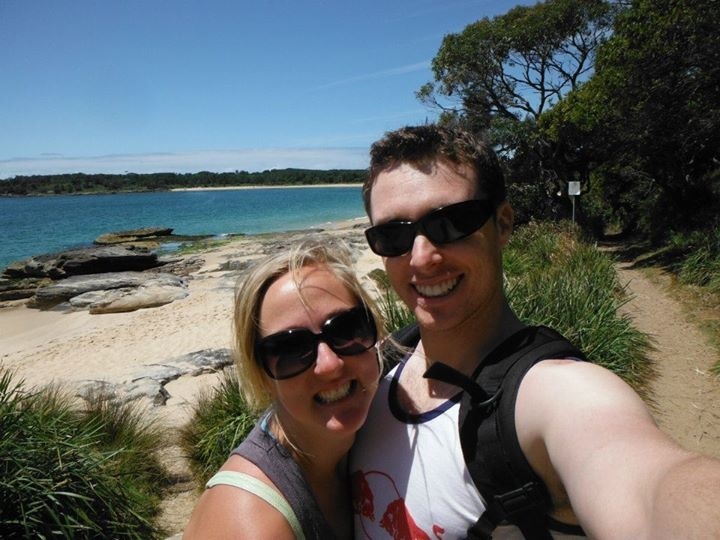 My favourite is definitely Jervis Bay, about a three-hour drive, which supposedly has the whitest sand in the world. It also is supposed to have some of the best (even not better than the Great Barrier Reef) snorkeling and diving. There is also the biggest wine region in Australia only an hour away from Sydney called the Hunter Valley. There are day trips you can take which include transportation to and from Sydney and visit about five wineries with tastings. A weekend is nice though because it is such a beautiful place, really reminiscent of Napa Valley in California. If you like mountain hiking there are also the Blue Mountains about an hour away also. There are amazing hiking trails and the small towns in the area are so quaint and have so much character. Your best travel or moving abroad tip? Travelling is so second nature now, I just DO. One thing that I realized that is just part of my routine when traveling is setting the time to the country I am going to immediately when I get on the plane. This makes this less confusing, and I try to sleep on the plane according to the country’s time so that my jet lag isn’t so bad. Research the country’s culture. A lot of things can be very surprising for you, and surprising for them when you don’t follow their etiquette. If travelling frequently, I recommend buying some packing cubes. They save so much time when packing and repacking a backpack. Would you recommend moving to Australia, to others? If so, what is your best advice for someone wishing to do so? Yes! It has been such an easy move compared to my other moves for one main reason – they speak English! It makes everything so much easier, speaking the same language. While a lot of things seem similar to America, Australia is such an exotic and booming place and there’s always new things I am learning about this sunny country. Big thank you to Danielle for sharing her experiences about moving to Australia!